I know I shared a few posts recently about Father's Day Cards and gifts, but if you are looking for something more, then I know just the thing to give you some inspiration! Keep an eye out tomorrow for the latest #GlobeStyleAdvisor, which will be available in print in The Globe and Mail, or for FREE download on iTunes (iPad only). 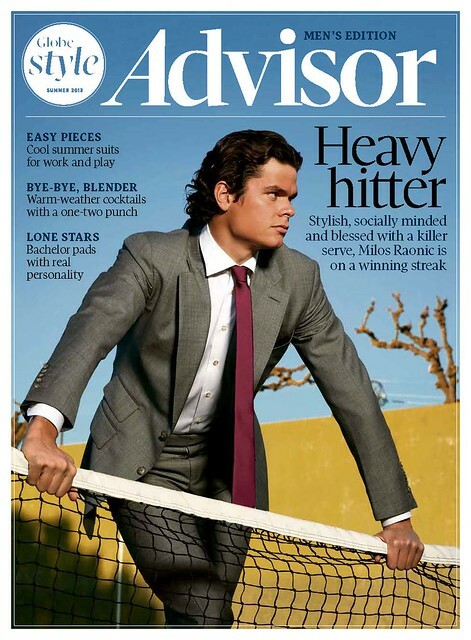 I've received advances copies of the last two issues of Globe Style Advisor and loved flipping threw them! They always offer the best in fashion, beauty, and pieces for your home, so I expect some great ideas for the men in your life in the June edition, which focuses all on men’s fashion. They're promising, the best in men’s suits from work to play, summer cocktails with a one-two punch, smooth sailing nautical prints, barbeque gear and more! So keep an eye out in tomorrow's Globe and Mail, or download your own on iTunes for iPad! Will you be scooping up a copy, or have you in the past? Do you enjoy The Globe Style Advisor as much as I do?